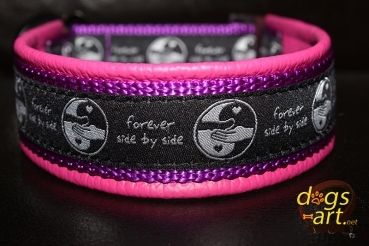 Webbing: Heavy Weight Polypropylene purple, 1"
Ribbon: Side by Side, 7/8"
flat on the dogs neck. How to measure your dog for the correct size? dogs-art Martingale Collars are not adjustable and fitting to the correct size of the dogs neck when the Collar is pulled closed. Please measure the neck circumference of your dog directly and tight (no finger room) behind the ears. 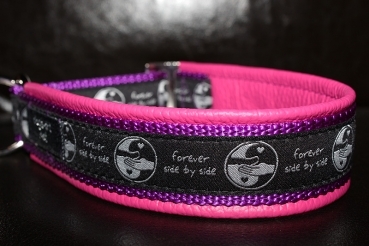 So you will get the correct size and the new collar will fits perfect. Please contact me if you have any questions or if you need an other size. 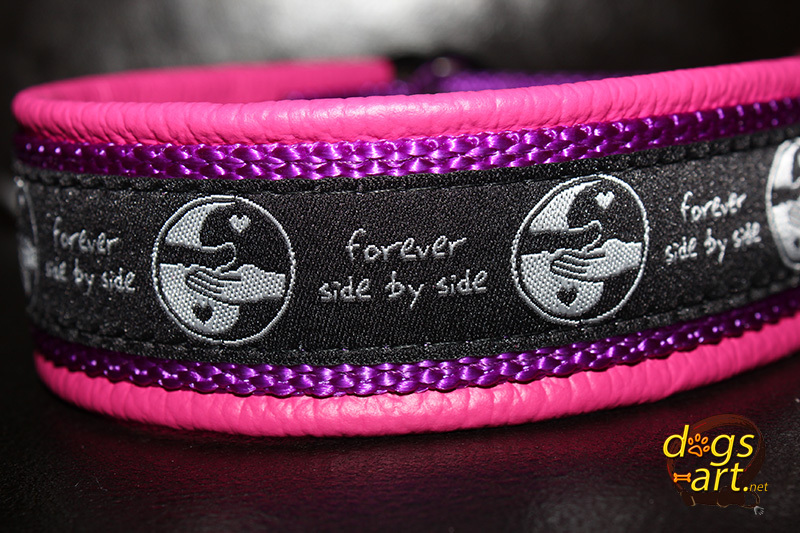 We have also Martingale Chain Collars, Easy Release Buckle Collars (Alu and Plastic) and matching leashes available. 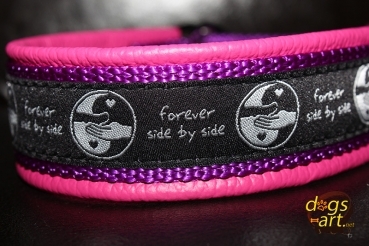 All dogs-art Collars are custom made. 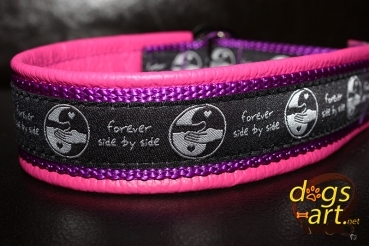 You can configure this collar in our COLLAR CONFIGURATOR!